﻿ One Point Hotel @ RH Plaza, Kuching | FROM $13 - SAVE ON AGODA! "The room is clean the bed and sheet are high quality, I have..."
Have a question for One Point Hotel @ RH Plaza? "Easy access to food and services (massage & salons)." "The staffs were helpful and friendly." Nestled in the heart of Kuching City Center, One Point Hotel @ RH Plaza is an ideal spot from which to discover Kuching. Situated only 6.1 km from the city center, guests are well located to enjoy the town's attractions and activities. With its convenient location, the hotel offers easy access to the city's must-see destinations. One Point Hotel @ RH Plaza offers impeccable service and all the essential amenities to invigorate travelers. Top features of the hotel include free Wi-Fi in all rooms, daily housekeeping, 24-hour front desk, luggage storage, Wi-Fi in public areas. Experience high quality room facilities during your stay here. Some rooms include television LCD/plasma screen, internet access – wireless, non smoking rooms, air conditioning, desk, provided to help guests recharge after a long day. Besides, the hotel's host of recreational offerings ensures you have plenty to do during your stay. 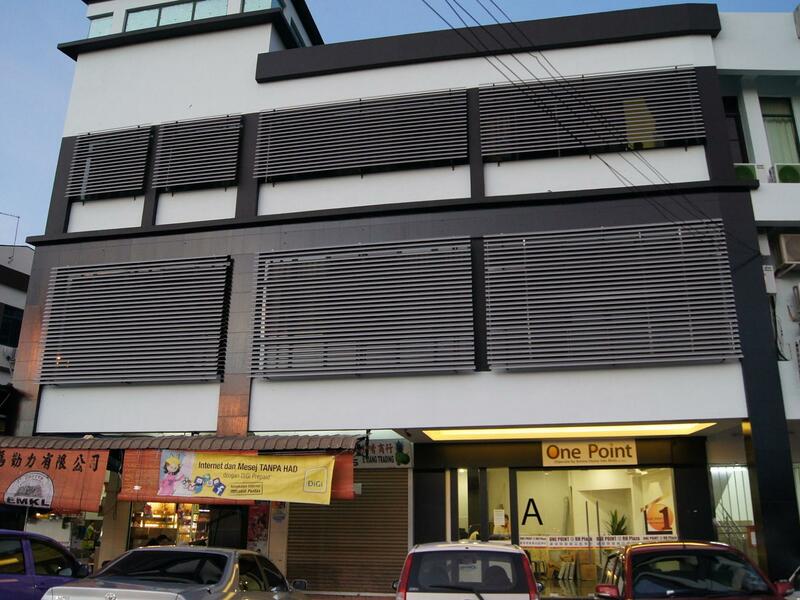 One Point Hotel @ RH Plaza is an ideal place of stay for travelers seeking charm, comfort and convenience in Kuching. Over all the room is not bad. But got ants near the table at night, better don`t put any food on the table. The room is wide. I am very disappointed with Agoda which they passed my booking to Booking.com and haven't send the email to hotel. When I checked in, receptionist can't find my booking in her system. It take me about half hour to wait for her to confirm my booking through telephone conversation with Agoda and other hotel branch. Luckily the hotel got the room type I booked and finally I got checked in with correct room type. I hope Agoda will improved their service, when Agoda passed the booking to other agent, please make sure the booking is confirm by the new agent. I'm not sure why some folks gave negative reviews for this hotel. If you are looking for a five-star treatment (which of course comes with higher price tag), then this hotel is not for you. But if your budget is around RM100 for a night stay, then this hotel is for you. 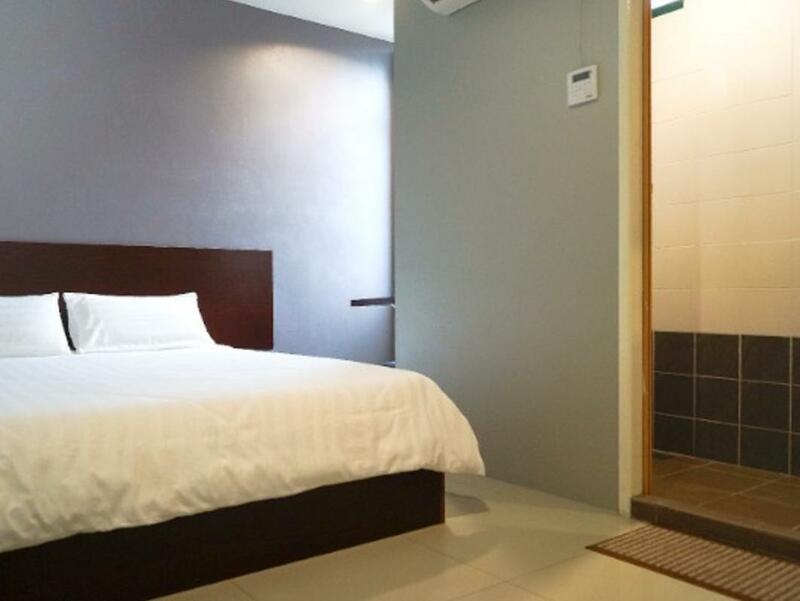 Made a booking via Agoda for my first night (paid RM65) then extended my stay for another night (paid RM79), the location is somewhat in between the Kuching center city & the airport/bus terminal, plenty of local food choices downstairs (like literally downstairs) & several malls are just 5 minutes away. Can't complain much. Those that complain I guess their budget only enough for a budget hotel but expected a five-star treatment. One-Point Hotel definitely my go to hotel whenever I'm in Kuching next time. Easy access to food and services (massage & salons). Many convenience store round. Near to airport. Good value for money. the room is quite small. not so recommended for families. the location is great. there's a food court beside the hotel and it's 24 hours. there's also got 7-11 nearby. The pro is the cleaner very hardworking and diligent to clean the room.However, the receptionists seldom smile and does not show friendly attitude. Everything in the hotel is good and make us feel comfortable. The location was easy find. The price of hotel is reasonable and affordable .I found it is economic and i will book it again next time. However,there is one con which is the facilities is fragile for example the toilet seat cover. I sit on it and it surprisingly and shockly break. Make sure you do not break anything,as the cost of replacemnet is so expensive.. This hotel location consider good if you are on a business trip because it is quite near to the airport and have a food court near the hotel. i not quite satisfy with the facility as i think it is quite wear off and bit smelly inside the room. Satisfied for overall. Room cleanliness is up to expectation, comfortable and it is cheap. Easy access for convenient shop which is just located next to the hotel. But most wonderful thing that impressed me is the foods with various cuisine which is just nearby to the hotel. Street foods alongside shop lot are crowded with people when night falls, I really enjoy it. Good stay. Had a few hours sleep before catching an early flight. Make sure to get your cab ready few hours before departure. Even thought the airport is near but the Taxi driver in Kuching is not very time sensitive. The rooms have all the basic amenities. There's no fridge or kettle but there's a hot and cold water dispenser in the hallway. The room is clean and comfortable with little frills but has all that's needed to spend the night. The hotel is near the airport and there's a large food court next door. its clean, pillow is very small . room is small not like in pictures . it got lift , near to airport , open public parking but ample spaces . many food shops around. if stay just to sleep okey . Small room for basic stay. Overall is OK. Easy access to food court and cafe. It's near to airport. The hotel is just a few minutes away from the bus terminal and the airport. There's a food court below the hotel and a lots of other eateries nearby as well. The staffs were friendly and the bathroom was relatively clean. I only expect a clean room for the amount I paid. But I was truly disappointed. I have a nonsmoking room that smells like a cigarette box. The room is located next to rooms that allow smoking. The hallway smells like cigarette and the room should not have been a non smoking room. Have requested for the staff to change my room but was told that no room is available. I had to cover my face with a towel throughout my stay in the room and my clothes smells like cigarette. Other than that, the hotel is located at an excellent location. Lots of hawker Centers around. My overall stay for 1 night is pleasant. Had a good night's sleep. Clean room and toilet. WiFi was fast during my stay and easy check in and out process at the counter.